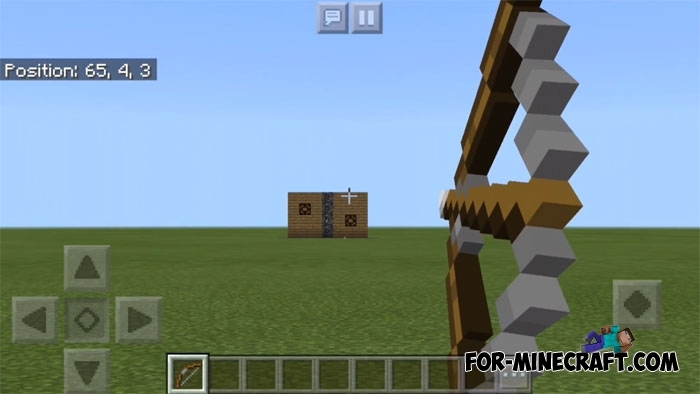 Each hunter in Minecraft BE will want to get such an upgrade for his bow. The fact is that in the game there is no possibility to use the scale during the shooting and that's why some shooters have difficulties with aiming. In order not to miss, you can scale the sight and hit the target with high accuracy. How to use the zoom? Take a bow and pull the bow back as usual. 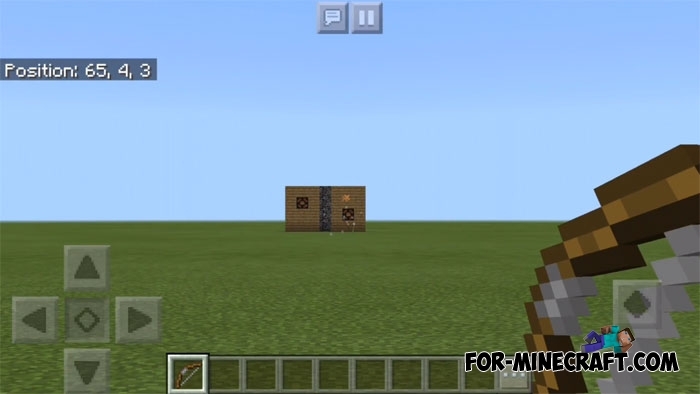 Then tap the sneak button and with more accurately shoot at the target. The zoom works well enough and scales the target so that it can be hit precisely into the head or another part of the body. 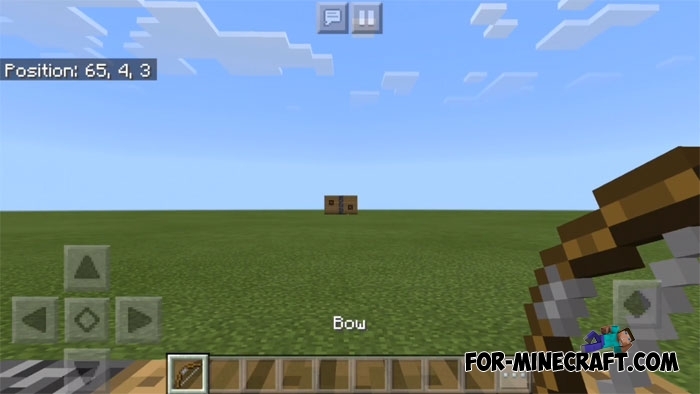 How to install Bow Zoom?